Translation Services USA can transcribe audio in absolutely any format, and just to prove it, in addition to all our other transcription services, we now offer audio record transcription services as well! 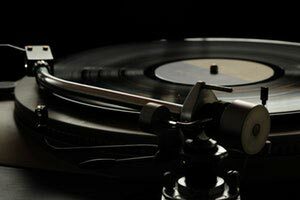 Of course, the best way to get a transcription for audio records, or any other recording format for that matter, is to convert the recording into a digital format such as MP3, which can easily be sent by email or over the web, such as through our quote request form. Since we only need to transcribe audio records and not produce a recording ourselves, the audio itself is more important to us than the format it's recorded in. Our professional audio record transcribers can use your digital file to hand type a text version of your autio without the need for any additional specialized software or equipment. Automation is not involved in any step of the process, only professional, experienced, human transcribers! Still have questions? Contact us today for more information on all our transcription services.